Well not entirely; or at least, the way I understood it from a news video a few weeks back, only plastic bags in dry goods stores are banned. If anybody knows anything to the contrary, please do not hesitate to make a correction in the comments section below. I suppose the writing was on the wall the moment Batangas City implemented its own ban last year. Local governments are increasingly factoring in environmental concerns among their programs. That, to my mind, is a good thing! Better late than later, ‘ikâ ngâ ng isang salawikaing katatawanan. I am all for the ban! 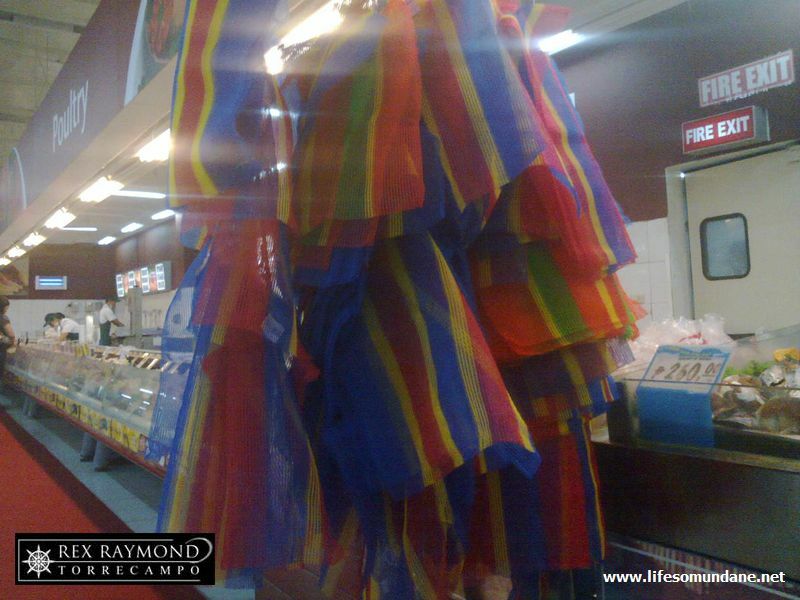 Albeit, one of the cashiers who I periodically talk to at Robinson’s Supermarket told me, not everyone was happy when the supermarket tried to prepare consumers by banning plastic bags on Tuesdays weeks before the city ban came into effect. This is where political will comes in. You can never please everybody, anyway; and in a democracy, it is the greater good that should always be the concern of government. It is not the plastic per se which I think is the problem. Technologies do exist which can recycle plastic bags into composite lumber or into pellets which, in turn, become raw materials for the production of other products such are pallets and pipes. What I do not know is if these technologies are already in the country; or if they are prohibitively expensive to make them viable as a way to deal with the plastic problem. At any rate, the biggest reprieve that we will all get from the plastic bag is the reduction in litter. Plastic bags are so cheap and ubiquitous that people are always mindlessly wont to dispose of them in the most convenient way – by dropping them on the ground. For instance, my front yard is frequently littered with those light striped plastic bags that I know I did not use. Probably nonchalantly disposed of by some kid who bought something from a sari-sarî store; blown by the wind; and of all places landed in my yard. The young will not feel the same way as I do; but there is also a sense of nostalgia and a going full circle, to my mind, in the implementation of the ban. When I was small kid and Mom used to ask me to accompany her when she went to market, we used to bring these bayongs which she always made sure were filled with the week’s food stock. The tinderas wrapped meat, fish and vegetables either in old newspapers or placed them inside brown paper bags. 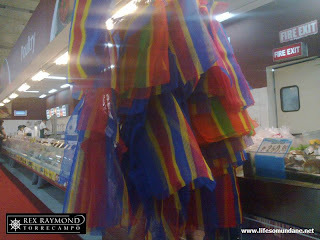 Then plastic bags arrived; and became ubiquitous. In those days, they were seen as godsends by those who went to market. Until they started to litter roads, forests, beaches, lakes, rivers… A lot we knew, then! Like I said, going full circle! 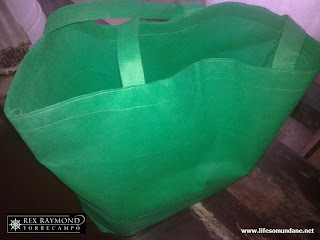 In anticipation of the ban, I purchased a couple of those so-called environmentally-friendly bags which are, in truth, no more than glorified bayongs. I find the eco-bags more convenient, as a matter of fact. I just need two of them to carry the week’s supplies. Apart from the eco-bags, those nylon net bags that are also so readily available in the public market have also started to appear in the supermarkets. People have caught on, I guess. I suppose everyone has eventually come around to the notion that the ban is for everyone’s good, anyway! And whenever the cashiers at the supermarket stuff the wet produce into brown paper bags, I am always amused. Just like the tinderas in the old days when I was still a small boy!